This is the debut album from UK duo Shadow Dancer. 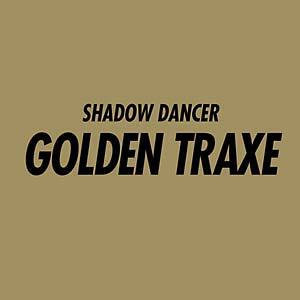 After three smashing EPs on Boysnoize Records as well as remixes for Chromeo, The Faint and The Teenagers, Shadow Dancer present Golden Traxe, a culmination of the UK duo's electronica, cut-up techno, acid house and space disco sounds. 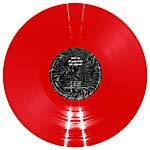 Already loved and greatly supported by a range of classy producers such as Erol Alkan, Mr. Oizo and Modeselektor, this album takes the UK duo to the next level. Shadow Dancer began in the summer of 2006 almost by accident. Brothers Paul and Alan Farrier had been writing music since childhood, drawn to follow synthesizers rather than guitars by their love of artists such as Jean-Michel Jarre, Kraftwerk, Human League and Pet Shop Boys. Although the pop and video game music of the '80s was their initial inspiration, it was the sounds coming out of Detroit, Chicago and the European techno scene that started an obsession with electronic dance music. 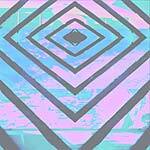 Having previously created tracks using tape overdubs and a limited sampler, they started to build up a small studio of second-hand synths. Based in Manchester, the brothers have played (both live and DJ sets) alongside Boys Noize, Trevor Jackson, A-Trak, Radioclit, Ivan Smagghe, Soulwax, Ed Banger Crew, D.I.M., Sinden, Surkin, Para One, Housemeister, Crookers, The Glimmers, Teenage Bad Girl, Filthy Dukes, Riton, Mixhell, and many others.